The Greek broadcaster ERT has made an internal selection and the group Argo has been chosen to represent Greece in the 61st edition of the ESC in Stockholm with the song “Utopian Land”. This direct nomination is unusual for Greece, as there were always national finals in recent years. The group Argo has been founded in Thessaloniki and is normally singing in Greek and Pontian language, which is an ancient language of the Black Sea area. There are six group members: Vladimiros Sofianides, Christina Lachana, Konstantinos Topouzis, Alekos Papadopoulos, Maria Elbrus and Elias Kesides. Argo is also using old traditional instruments such as lyre and tabor. The song “Utopian Land”is an unusual Greek song. It has hip hop elements as well as ethnic elements melted together in an interesting combination. This kind of music can be described as world music. “Utopian Land” is about breaking up to a new land, full of hope for the better and that hits the nowadays situation in Europe, especially in Greece where all the refugees arrive. The video clip is show a man running through a stormy, unreal and hostile land. Let’s hope he will reach his utopian land in time. This year Greece will be participating for the 37th time in the Eurovision Song Contest. The debut Greece made in 1974, which is quite late compared to other Western European countries. The first Greek song “Krassi, Thalassa Ke T'agori Mou” was sung by Marinella and made an 11th place in Brighton. Since the introduction of televoting, Greece has profited a lot by this new voting procedure. It’s natural as there are many Greeks living all over Europe and of course they will vote for Greece. 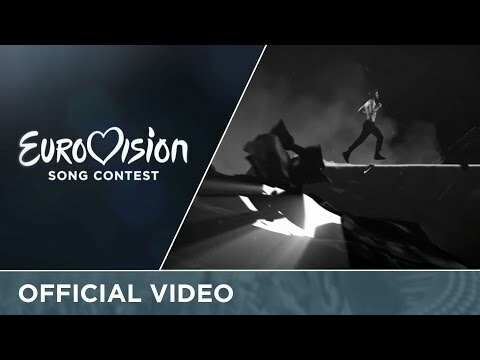 Since the Semi Finals have been established, Greece has always passed them and could guarantee a place in the Grand Finals. Furthermore Greece could achieve eight Top10 places within ten years! In the 36 years of participation, Greece could reach a Top10 place 18 times, so statistically there is a 50% chance for Greece achieving a very good place. The Greeks have always dreamed to win the ESC, the dream came true when the Greek-Swedish superstar Helena Paparizou sang her “Number One” in Kiev, 2005. This outstanding contribution was celebrated like a storm back in Greece and even beyond. This victory was truly deserved as there were former years with really unfair low placements. The juries have been quite strict with Greek entries in former years. But one jury was always very loyal with Greece – it was and still is Cyprus. The famous 12 points have always been exchanged heavily between these countries. That’s why Greece never had zero points at the end. Over the years the Greek entries have become very contemporary and do not hide their traditional folkloristic roots.